We were sitting on the ground in the Zambian sun when the precious little girl sitting next to me lightly ran her fingers across the top of my hand. 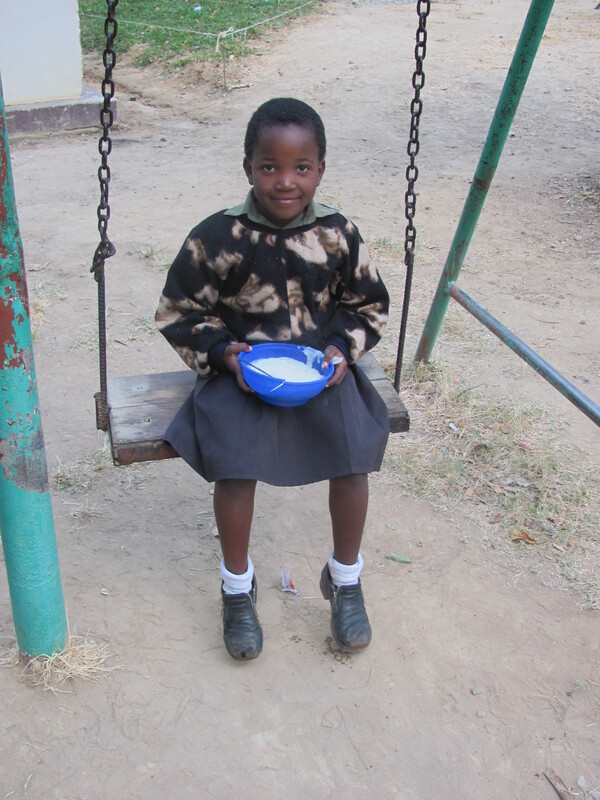 She was a student at Lifesong for Orphans, and while her first language was Bemba, she did know some English. After touching my hand, she put her hand next to mine, and with her other hand she touched hers and then touched mine. “Different…” she said, pointing at my pale white skin next to her dark skin. It was one word that said so much to me. “Different.” Maybe that’s a good way to describe my mission trip to Zambia. The terrain was different. The food was different. Our skin tones were different. The list of ways things were different was practically endless. Our first morning at Lifesong for Orphans I knew we’d be attending a school assembly. When we think of a school assembly, we usually picture an auditorium or a gym. I knew that wouldn’t be the case at Lifesong, but I was still a little surprised to see Monday’s assembly take place in the dirt area between two mango trees. The morning assembly held more power than any assembly I went to in elementary school in Ohio. 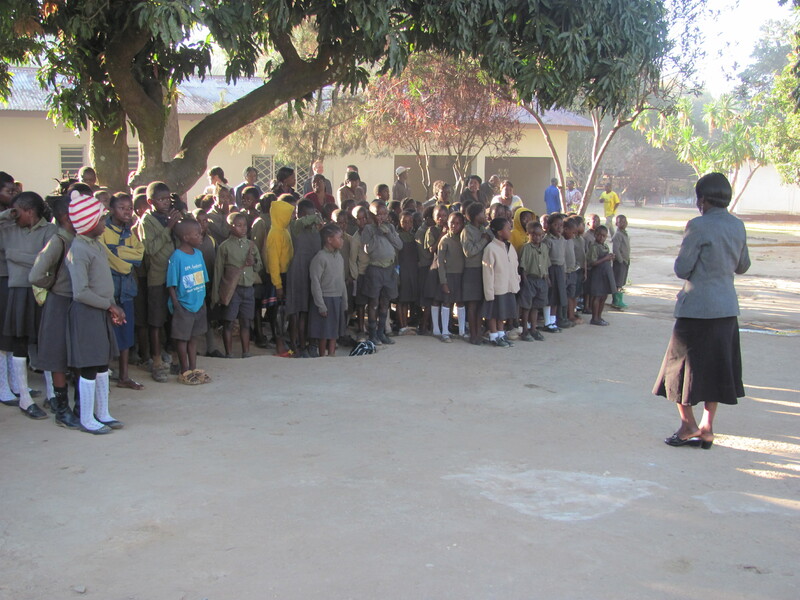 Children from the baby class up to the 8th grade sang praises to God, sang the Zambian national anthem, and even heard a short message from a pastor. It was the perfect way to start off their week. It was perfect for our team, too. Praising God at school… different. I don’t have any pictures of that first assembly. The couple who runs the organization in Zambia has started asking teams to not take pictures on the first day or two of their time at Lifesong. I’ll admit, I was a little annoyed. That is, until I was there and was able to 100% focus on the beautiful life in front of me and not worry about capturing it on film. I now think it is something all mission teams should do- take a few days to just experience the new world around you. I do think photos are important so we can return to the states and be advocates for these amazing people, but pictures can be taken later. No pictures for days on a mission trip… different. Janeth and I were in charge of the Bible story each afternoon when we did Bible School with grades 1-3. One day we had some extra time with a group before they moved on to crafts, so we decided to play a game of “Follow the Leader.” Janeth was at the front of the line, and the eager second graders lined up behind her. For as long as Janeth walked in a straight line, all was well. But as she started to get fancy and curve out of a straight line, the kids went nuts! All of a sudden there were about 10 kids in front of the “leader,” running around wherever they wanted to. It was pretty hilarious, and needless to say, we didn’t attempt “Follow the Leader” again. Childhood games in Zambia… different. Our final morning at Lifesong we took all the pictures we wanted. The students held their Friday assembly in the same place as the Monday assembly, and they once again blew us away with their singing and sharing. Their songs in Bemba and in English were some of the most beautiful I’ve ever heard. There was one song in particular that really got to me. It was in Bemba, so I didn’t understand the words, but I didn’t have to. They were praising God, and that was obvious. Despite the fact that their assembly was in dirt, they were praising God. Despite the fact that they have lost parents and siblings to disease, they were praising God. 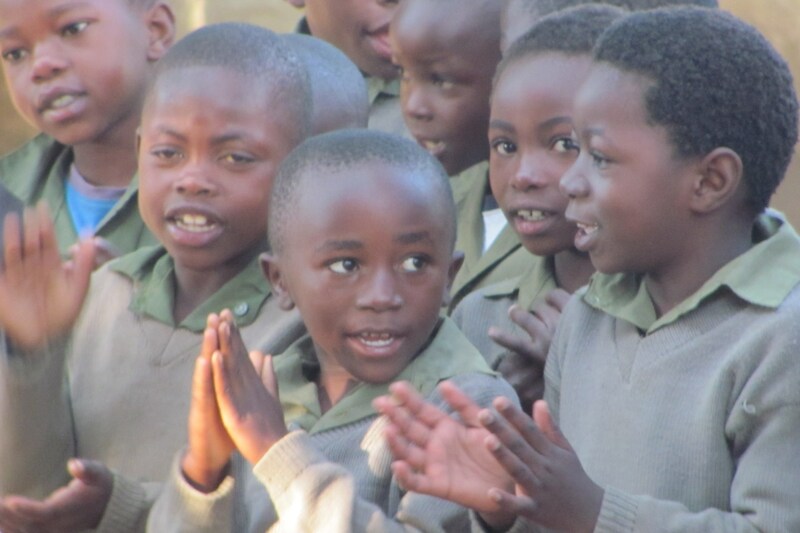 Despite the fact that their only meals that day might be the two they have at school, they were praising God. The God they were celebrating and praising… NOT different. Although worlds apart, although we play our games differently and hold school assemblies differently, although our skin is different… we are so much alike in that we’re all worshipers of the same great God. The little girl who noticed our skin was different will probably see a lot of mission teams come in and out of Lifesong for as long as she is a student there. Their skin will be different, as will their clothes and accents. But I hope that as she grows older she will notice what is the same- that we’re all God’s children, and He loves us all despite the differences that separate us.